I’m still wondering what the hell an ‘assult’ is..? I have known the lady who this incident happened to and her family for many years, ParkingPolice you are beyond wrong with your assumptions. Clear winner for me is Sylosis, we’ve had the pleasure of the best British metal act since Maiden playing our little town on a couple of occasions, sadly few seemed to care. Alestorm, Ash & FFAF were great nights too, went home with a smile on my face from all of those. My wife and I are happy that there might be some affordable housing available to the locals and allow our family to buy homes in the village they grew up in. Have a look on Rightmove, there’s loads of houses for sale in Llay starting from just a tad over 100k. Can’t imagine any new build would be cheaper than that. Good location for the development with good road links, throw in a school and shops and it can only be a positive to meet the housing problems in the area. I wasn’t aware there are any plans for a new school, shops, doctors etc. which appears to be a major concern for this large development (that the infrastructure is not currently in place to support it). Is that not the case? FWIW Benjamin I do sometimes venture from outside my ‘suburban gated mansion’, one of these ventures is to visit relatives that live in the Smithfield area (Bertie Road). On the occasions that I visit them more often than not there is indeed a vehicle parked on the roadside in front of their home, yes it can be of annoyance but the last time I checked they do not own this piece of tarmac nor do they have any right to dictate who can and cannot park on it. If some scrote keyed my car while I was parked when visiting them (which can very often be in front of someone else’s home if there is no space available outside theirs) then I would feel most aggrieved. So Benjamin do you also have ‘no sympathy whatsoever’ for people who buy a house in Smithfield knowing that there’s a very good chance someone may park in front of it? What about those who have their cars keyed whilst parked in public car parks, any sympathy for those? or as the terms and conditions of that car park probably states somewhere that the vehicle is left at the owners own risk is that just basically hard luck? You often seem to prattle on about people writing nonsense on this forum and then post this which would appear to be precisely that. Vandalism is vandalism is vandalism and keying cars is not acceptable regardless of where the owner may have decided to have left it, is it not? A quick check on Google (other search engines are available) seems to show there is one of these establishments in a neighbouring city. That couldn’t have created that much of a negative impact on this location as I was actually unaware of its existence. 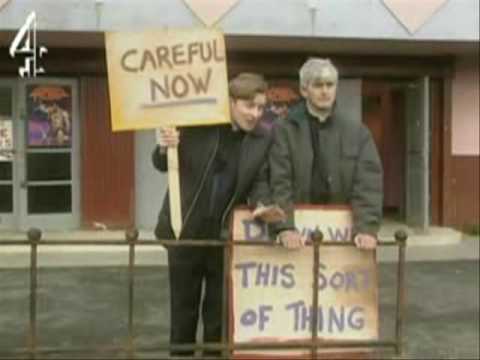 TBH I couldn’t care less if one opened in Wrexham or not but this talk of objectors did remind me of this! Read 1,162,621 times in last 30 days. Read 1,162,621 times in last 30 days, and 73,988,894 times since we started in 2011.